The Coccyx Cushion is a great solution for back ache when sitting down for long periods due to too much pressure on your lower spinal discs and tailbone (coccyx). With two variations available, you’re sure to find the best solution for your needs. 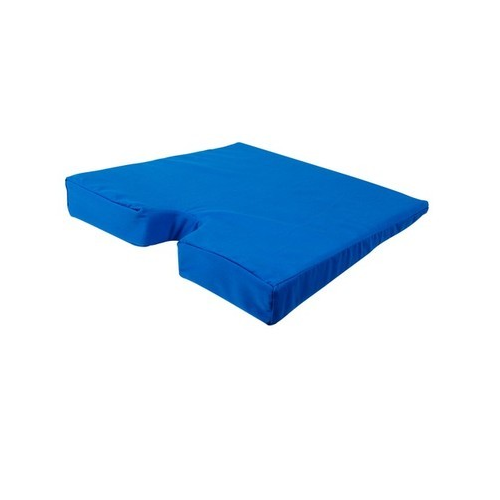 The Standard Coccyx has an angle of 11°, whereas, the Deluxe Coccyx Support Wedge Cushion is angled at 22°, they are both designed to relieve the pain from a sore or bruised coccyx when seated. It can help relieve the pressure and help prevent back pain. It is also fully portable. This works via the wedge shape helping promote and maintain a correct sitting position by tilting the pelvis forward, thereby, helping restore the natural curvature of your backbone. The Coccyx Cushion has a removable zip-off cover and is machine washable. 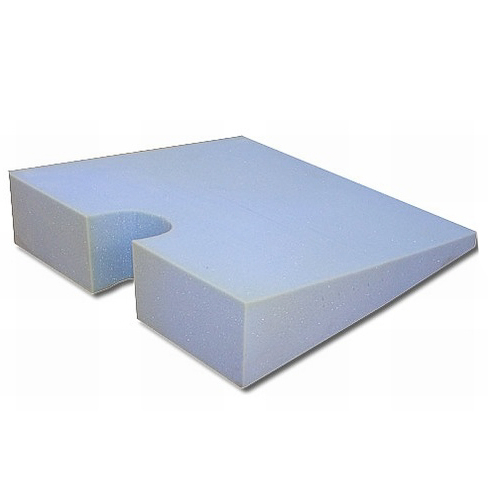 It is made from hard wearing, medium density, CMHR foam. The cutaway section relieves pressure and is great for use in the office, car, house etc.